You may very well be looking at these pictures and wondering what on Earth happened to this week's Tiramisu Cake for Tuesdays with Dorie chosen by Megan at My Baking Adventures. Well, here is my story, and I'm sticking to it. I have several 'good' reasons why I deviated so very, very far from the original recipe. 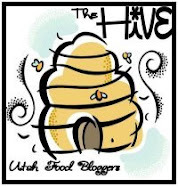 1) We don't do coffee at our house really of any kind, 2) May 5th is Cinco de Mayo, which though it is actually a Mexican holiday, is widely celebrated here in Utah due to our large Latino community and today my son's school is even doing a program - including singing and dancing, much to my macho five year old's chagrin. I already did a cake where I substituted out the espresso syrup and made a hot cocoa version, I decided to make the cake for the Tiramisu, which Dorie mentions in the introduction is a basic yellow cake recipe. I was excited to find this out because I have been looking for a good, from scratch, yellow cake for a while now. I wasn't disappointed with this recipe - the cake was perfect. I did however make just a half batch which gave me about a baker's dozen of cupcake cones. I had to adjust some of the measurements for the recipe to cut it in half, but it worked like a charm. For the frosting, and to reflect my Cinco de Mayo celebration, I made a light whipped chocolate ganache with some cinnamon and Ancho chili powder for just a tiny hint of spice in the chocolate. 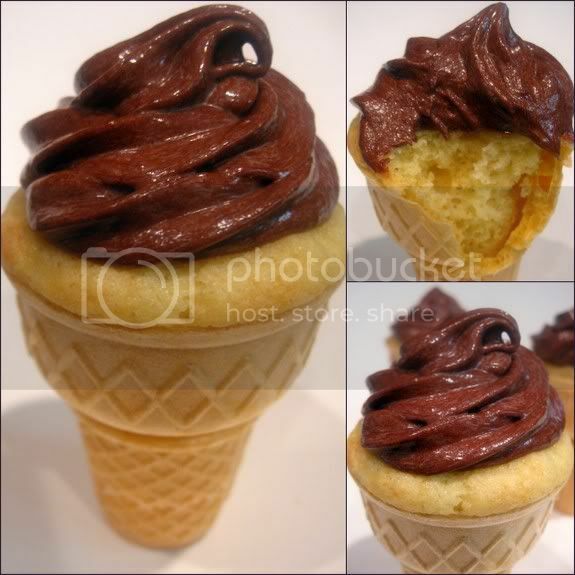 You could also still make the creamy frosting for the Tiramisu recipe and use that to fill these cupcake cones or to frost them, then sprinkle with cocoa and make your own Tiramisu cupcake cones inspired by Italy instead of Mexico. 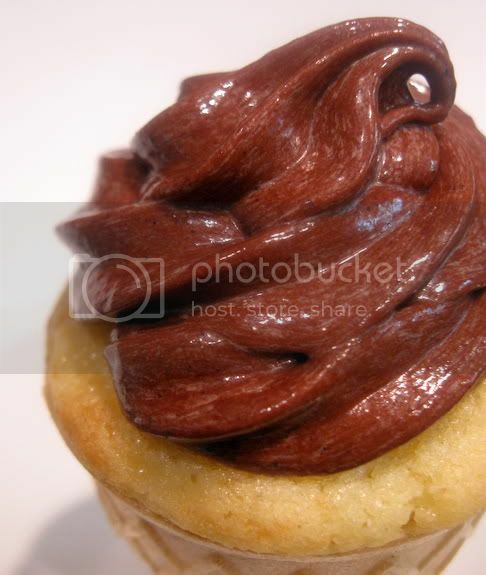 For my versions of the recipes for the cupcake cones and the frosting, you can visit my page on Examiner.com. To see some actual Tiramisu Cakes, I suggest you visit the other Tuesdays with Dorie crew and find out what the recipe is really like. 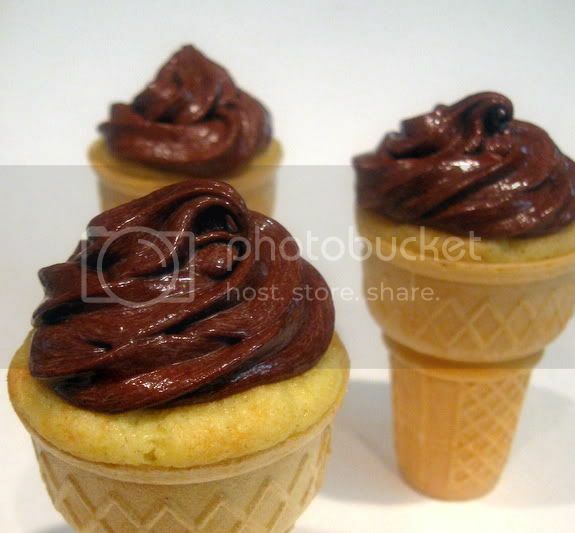 What cute cupcake cones! I deviated from the recipe, too. I loved the cake recipe, though! Totally cool idea! I haven't made cupcake cones in a long time. Love your adjustments ;) I agree the yellow cake recipe was awesome and I am in love with the tiramisu cake! Wonderful! These look so delicious and coffee & alcohol-free! I skipped this week, but when I make mine alcohol-free, I'll definitely try your variation! Very creative choice - perfect for kids! And I agree, the cake is worth making on its own! That last picture is OUTRAGEOUS! WOW WOW WOW WOW! Happy Cinco de Mayo! These look really yummy...way to make it work! FYI, Cinco de Mayo is not Mexican Independence Day. That is on September 16. Cinco de Mayo is when the Mexican won the regional Battle of Puebla over the French, and in Mexico, is primarily celebrated in the state of Puebla. You always have the best ideas! Yum! Yeah for cupcake cones! I LOVE your chocolate on top. I'm taking a little community class tonight all about cupcakes--which is good, because I stink at frosting cupcakes in a big swirl like that (I may just not have the right pastry tips.) But YUM, looks so good! I made some yummy Mexican brownies to go with today's theme. I didn't think I'd like the cayenne I used in them, but it's a fun kick. I like what you did with this. The frosting sounds delicious! 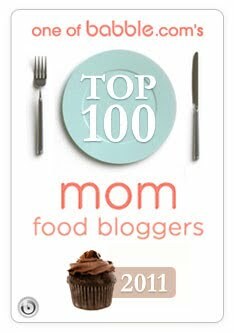 What a great way to the adapt the recipe to work for you. I'm sure the kids will love these. That frosting looks extremely luscious! How fun! Those are super cute. I love how shiny the frosting looks! Those look adorable and delicious! Nice job. happy cinco de mayo! these are so cute--they look just like soft-serve! Ok....can you send a couple of those my way??? I always forget about baking in cones.....my boys would love it! Your cupcake cones look amazing; I'll have to remember that technique. For future baking reference, I made a bunch of the mascarpone cream filling without any of the coffee/alcohol syrup and it is an amazing topping. Tastes great with cake or with fruit (I tried it lots of ways!) Anyway, you might enjoy working with it some time. What a fun treat! Love the creativity! Ooh, that frosting looks so good! I'm definitely going to have to make the cake recipe soon--I've read lots of good things about it today. I can't believe you found a way to tie an Americanized Italian dessert to a Mexican holiday. Sweet! We have a Mexican popsicle shop in Nashville that makes these creamy chocolate and hot pepper popsicles. OMG. Love these spicy chocolate combos. This is so creative. As much as I love the original tiramisu, my daughter doesn't like coffee so I also sometimes add cocoa in part of the cream and make some for her. Lovely presentation. Great job making the recipe work in such a fun way, too! Those look beautiful! Great idea! I really liked the cake on its own, too. Really fun idea and great looking cupcake cones. What a hit! Those are adorable. I tried doing this once, but the cones got soggy. How do you keep yours from that??? You know, I'm not going to complain about those creative liberties. Those look absolutely amazing!